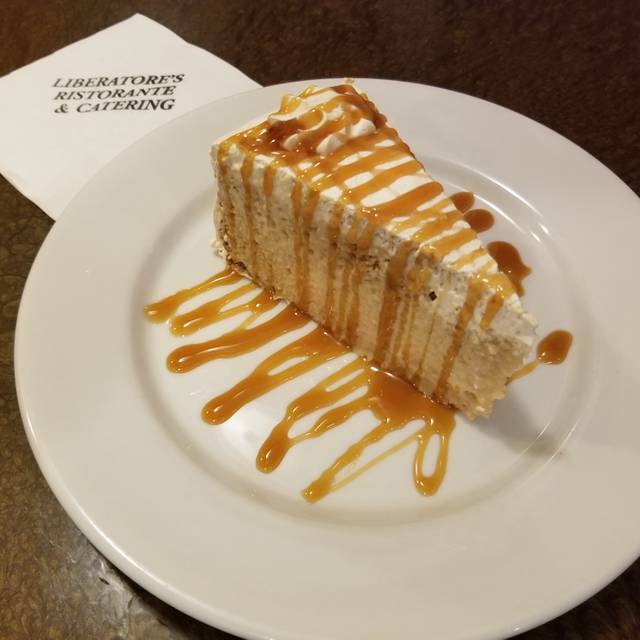 You must make reservations at least 5 minutes in advance of the time at LIBERATORE’S Ristorante & Catering - Eldersburg. There is a large parking lot available with well lit areas and multiple egresses. Watch Dante L work the room....It's entertaining !! Please call for Christmas Eve & New Year's Eve reservations. Italian cuisine & many traditional offerings as well. Not too formal, not too casual and always delicious, always attentive. Extensive Wine list, daily Seafood specials, Happy Hour specials, Kids Menu, Lunch Buffet - Warm & friendly staff. You’ll enjoy it!! Served with roasted potatoes & vegetables. Most of your old favorites are available upon request! We tried all new dishes and we were not disappointed. Service and food were excellent. Always a delight to gather with friends and family at the local neighborhood gem! Good food, good wine, good times! Great experience. Not rushed. Great engagement from owner. As soon as we walked in the owner greeted us. He was so welcoming and really made us feel special. He told us about the specials and even sent us a complementary appetizer. We will definitely be back. We had a group of six and as always the food was excellent. Great Place, great value!!! Food is excellent. Dante is awesome!!! 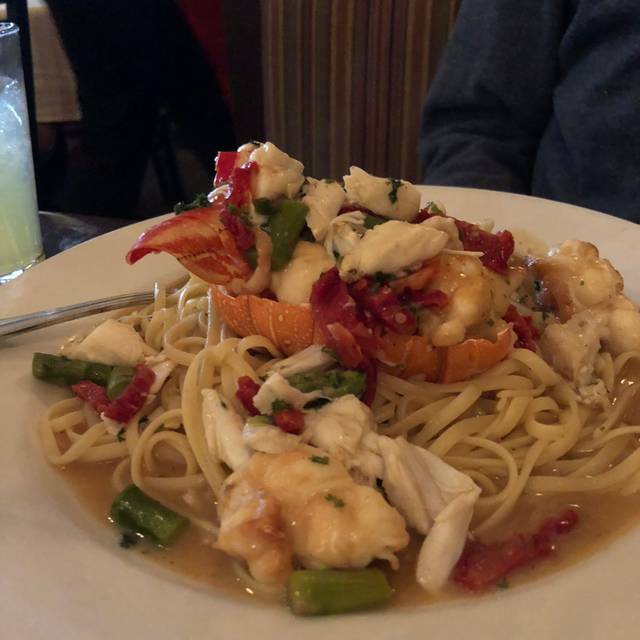 We had a fabulous dining experience, food was delicious, impeccable service, consistently the best Italian restaurant in the area. 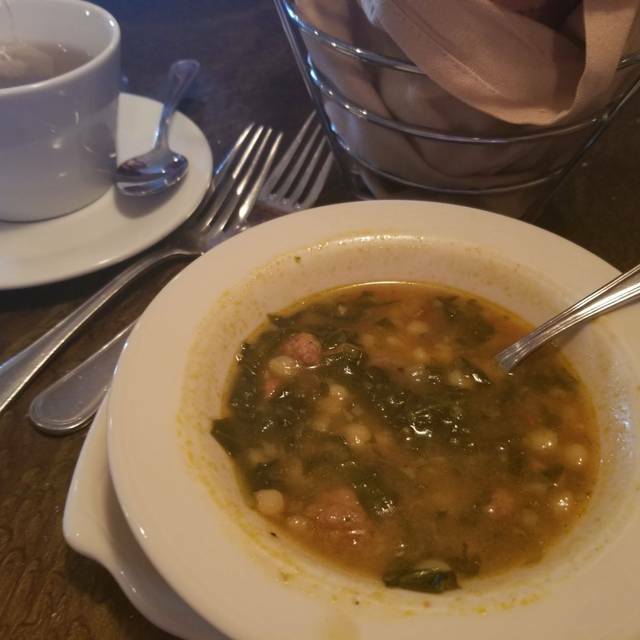 Everything about our experience at Liberatore's was excellent. Our server, Nancy, was a pro at getting orders correct. The food was outstanding and portions were plentiful. Nancy makes the desserts, and the selection and taste were fabulous, especially the coconut cake. Bussers took our leftovers and boxed them for us, too. We'll be back! Checked in with hostess as open table. They confirmed reservation. But I have not received open table points or acknowledgment. This is represents non follow through. Had a great dinner. Excellent food, wonderful atmosphere & the place you'll see your neighbor, your friends & the feeling of being family.....all while giving your taste buds an experience worth having. The Staff from the front, to the servers take great care of you. Once again, the food and service were wonderful! Dante greeted us as old friends, although its been several months since we were at the Restaurant. The staff is attentive and eager to please. Great time as always, Dante is a legend. It was a very romantic Valentine’s Day. As always, LIBERATORE’S was excellent. Dante was fun and dressed to the nines. Always outstanding !! Staff and Ownership top notch . Food is always great and we feel like family there. Always fun. Consistent quality food. Dante a pleasure! My brother and his wife visited us from New Jersey on Valentines day. 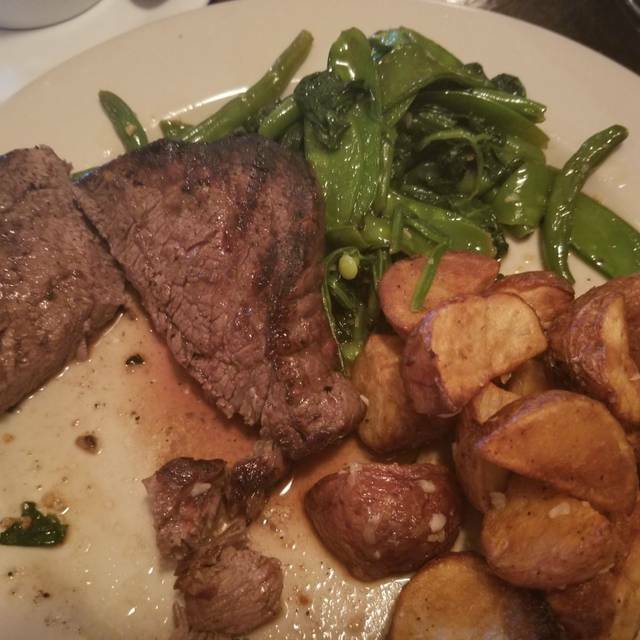 We had made reservations at Liberatore's for we had been there before and wanted our guests to have a wonderful dining experience. Not only did they enjoy everything from the drinks to the great food, my wife and I did too!! Whenever we wish to amaze our out-of-town guests for a dining experience to be remembered, Liberatore's will be on the dining agenda!! Great date, great food, great place. Noise level can be disturbing, but families are not only enjoying good food and service, they are ejoying themselves. Haven’t been here in a while. Great friendly atmosphere. Food is good. Loud on the weekend though...lots of people, but that’s good, right? Prices are good. Atmosphere is great. Any time I want to take my wife out for a nice dinner, this is the place I choose. Could not have been happier with the staff and customer service! The manager was awesome and the food was great! Always great to visit with the locals at our own neighborhood gem. Thanks again Dante and staff! The food and the service are always top notch. Seeing and chatting with Dante is always a highlight of our frequent visits. 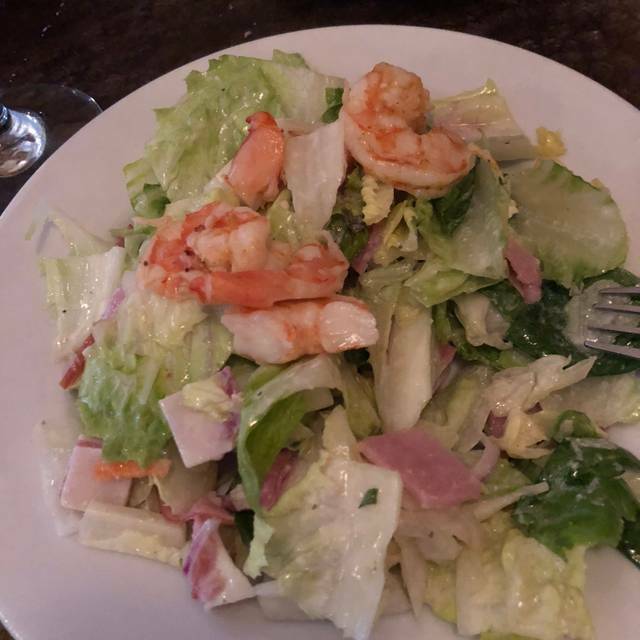 LIBERATORE’S continues to be a favorite restaurant for our family. The 10 of us were stuffed in the bar. Thought a week night would be less crowded, but the dining room was totalling full from a funeral gathering. The service was excellent, but the noise level was deafening. Really prefer the lunch buffet. Always a pleasant dining experience. Wonderful service. Delicious food. Asked for squash with onions and garlic as an appetizer. It was outstanding! It was seasoned just right, with light salt and pepper! The veal parmigiana and the chicken special with rice and shrimp with a wonderful sauce were both outstanding! It was a wonderful New Year’s celebration! As always, Dante made the evening fun and delicious. What can I say about Lib’s in Eldersburg.....in a word....excellence. Very limited New Year’s Eve menu, which was expected. Service was good. Food was just average, nothing outstanding. Always a joyful time to gather with friends and family @ Dante's in Eldersburg. Even though the reservation did not show on his system with Opentable we still got top notch attention to be seated in a very crowded, busy holiday rush. Thanks Dante, once again!! The meal was good. The service was very good. Meal was delivered in a timely manner. Great food convenient location and just a warm friendly environment. The service here is friendly and very efficient. The food is excellent. It's a great place to go with a group of friends. Our group of 7 ate here on a slow Tuesday in December. We were seated right away and our wait staff was very good and attentive. I had the Tre Fungi Risotto with shrimp and it was very salty. Some others in our group commented it wasn't as good as normal. Dante the owner is a wonderful host! 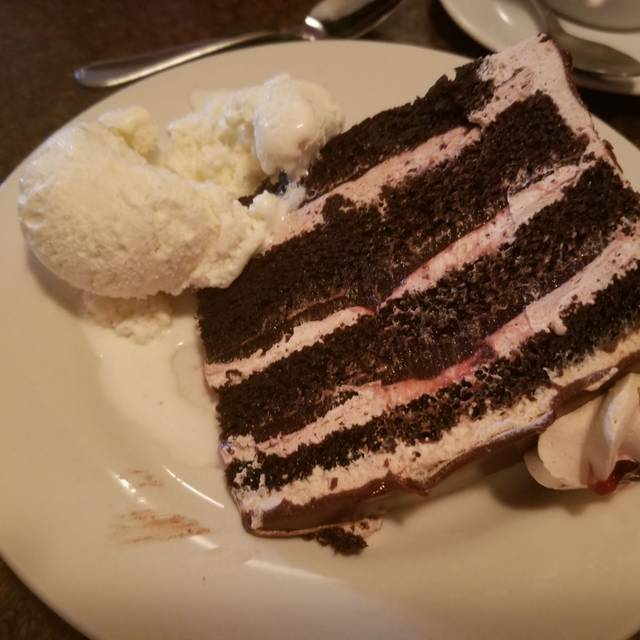 We've been dining at the Eldersburg location since its opening in the mid-80s. The food has always been consistently delectable! Wonderful place. Our food was delicious and such big portions. We had a waiter that was very attentive and was just a delight! Definitely worth the drive and will go back time and time again!